As you have learnt by now, attitude is one of your greatest strengths : or weaknesses – depending on your attitude. It depends on how you perceive, or see (“C”) things. In a channeling session with a young lady recently, the Channel was visited by a new Guide who was introduced as Oscar. The young lady, a truly worthy Soul, identified her previous choices of friends, based on certain physical and emotional strengths and weaknesses. This young lady, in her vulnerability, traced these choices on a childhood incident whereby she was made to feel unworthy by a fellow schoolgirl. What appeared to be a typical malicious remark by a 12 year old schoolgirl, herself no doubt feeling insecure about her own physical development, made a cutting remark, emotionally scarring her “friend” – now the young lady in question. This young lady selected her friends, thereafter, to “show” her schoolgirl friend that she could get well-built, good looking men to be her friends. However, these men friends were not as emotionally strong as they were physically strong and good looking. Of course, twenty years later the schoolgirl “friend” was long gone but still the young lady chose her men friends, her ex-husband and others, using the same criteria – well-built, good looking and not so strong emotionally. Working with the Channel in her vulnerability and integrity she realized that she was not succeeding in forging a meaningful emotional, spiritual and physical relationship with someone who was also a truly worthy Soul but always found herself selecting “shallower” people. Enter Oscar, from Stage left! Oscar, the Guide, explained that this young lady was O’Scared of letting go of her determination at age 12 to prove to her “nasty” 12 year old school friend that she was pretty and that she could get good-looking, well-built men in her life. Generally speaking good-looking well-built men and good looking beautiful women tend to value the development of their physical attributes at the expense of their emotional development. Vanity, and being sought after, tends to make their empathy, compassion and understanding a little under-developed one might say. So Oscar pointed out her choices made repetitively tend to repeat the cycles of elation, happiness, satisfaction, disappointment, rejection and sadness. This young lady no longer had to act like a 12 year old schoolgirl some 20 years later. 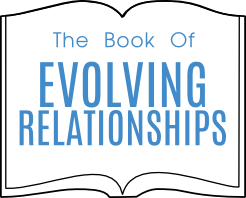 Prior unsuccessful relationships testified to the need to change the CHOICE – Courageously Helping One In Choosing Evolvement. Perhaps it was time to reconsider the needs of a 30 year old woman now, not those of a 12 year old schoolgirl with something to “prove”. Perhaps this truly worthy Soul now needs to find someone who was not necessarily well built, not necessarily good looking but someone who was emotionally strong, spiritually strong, a worthy Soul to match her own self worthiness. The young lady implied that she had identified someone like that. The Guide Oscar said yes you have but you are O”Scared that is why Oscar the Guide had stepped in to explain how simple it was to move from O”Scared to O”Sacred. It only required the young woman to “C” differently! O”Scared is based on being afraid, fearful of rejection and loss. O”Sacred is based on valuing your self-worth, expressing your feelings (feelings being the language of the Soul), gaining acceptance and so allowing love to flow. Change the way you “C” to change your attitude from Scared to Sacred, from Fear to Love. Do you “C” now? asked Oscar the Guide. In your life what you “C” – Scared or Sacred – Fear or Love – Worthy or Unworthy all depends on your Attitude – Approaching The Tasks I Thank U Deity Everytime. An Attitude of Gratitude (See Lesson 40) will enable you to “C” correctly.